Hanmer Springs is a beautiful place no matter what the season. In winter the village is often blanketed with snow, transforming Hanmer into a winter wonderland; spring brings soft blossoms and an avenue of daffodils and oaks. Summer greens are cooling to the otherwise warm weather; and autumn offers a multitude of colours and breathtaking scenery. The surrounding area is outstanding and ideal for outdoor enthusiasts with thousands of hectares of varied countryside, from river valleys to mountain tops. 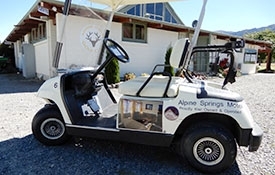 Hanmer Springs has spectacular walking, pony trekking, mountain and quad biking or perhaps enjoy a game of golf on our superb course, located next to our motel complex. For the more adventurous there is bungy jumping, white-water rafting, jet boating and scenic flights, plus skiing during the season. An absolute must for any visitor is a trip to the steaming thermal waters at the Hanmer Springs Thermal Pools & Spa. Overlooked by towering trees, visitors are sure to relax in one of New Zealand's finest thermal complexes. An ideal location for a weekend break, leisurely overnight stay, business trip or superb romantic holiday. The village has many spas and wellness and massage centres. Free activities include the many walking and cycling tracks, children's play areas and the stunning scenery. Many cycling and running events, concerts, golf tournaments, a weekly market during the summer season, Culverden fete in October each year, plus many additional activities run by the individual pubs in our village. 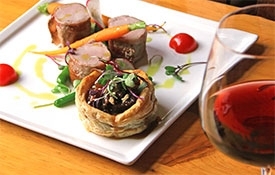 There is an abundance of restaurants in Hanmer Springs catering for all tastes and price ranges. We provide sample menus in our room folders for most of these restaurants and can also provide our guests with personal recommendations. 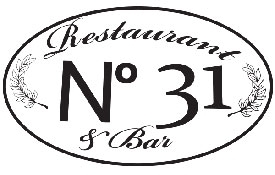 High up the list of fine dining in Hanmer Springs Restaurant 31 rates among the best in our village. Check out the latest menu on their website. 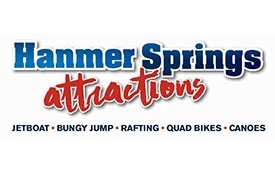 Hanmer Springs Attractions offer jetboating, rafting, canoeing, bungy jumping, quad bike safaris, clay pidgeon shooting and paintball. 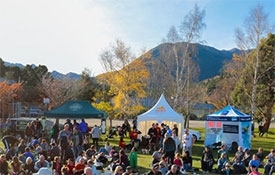 Located only a few KM from the village of Hanmer Springs at the Ferry Bridge they are open daily for all these activities. A courtesy coach is available from the booking office in the central village. Corporate groups, schools, families, and clubs are welcome also, discount rates may be available for groups. To save $10 on your activity booking quote this PROMO CODE: ALPSPR10 when you book online and you will automatically save $10. 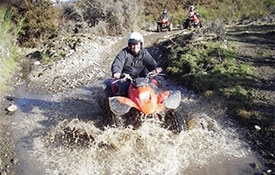 The Hanmer Springs Adventure Centre is the place to book your adventure activities in Hanmer Springs! Just browse through their website to see the fantastic choice of outdoor activities available in the area! Summer or winter, you'll find plenty to do outdoors, whatever your age or taste. Just 17km from the alpine resort village of Hanmer Springs. "Club" field means no queues or crowds but open to general public everyday. Elevation is 1769m, Ski Terrain is 52ha, Vertical is 310m. 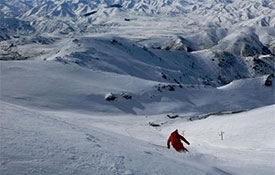 Lessons 2 or 3 times daily, lessons timetabled for skiers and snowboarders, bookings preferred. Ski and board hire on the mountain. 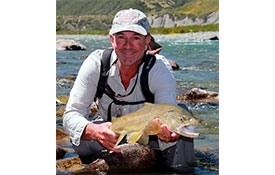 Fly fishers around the world dream of fly fishing our enchanting waters and Serge Bonnafoux offers you exceptional fly fishing trips for trophy brown and rainbow trout. New Zealand is home to the purest of dry fly fishing opportunities, sight-fishing for large brown and rainbow trout. The South Island of New Zealand teems with streams and rivers, the central and West Coast regions home to remote waters and low density of anglers. 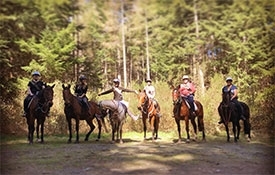 Whether you are ticking it off your "Bucket List" or getting your next horse fix, the friendly team at Hanmer Horse Trekking are here to guide you. Their teams of horses are selected with you in mind, catering for all abilities and confidence levels, making your journey safe and enjoyable. Prepare for unforgettable memories as they take you through the stunning alpine surrounds of Hanmer Springs. This 18-hole golf course is situated in a high country basin, 385m above sea level. As well as manicured fairways and greens, the Hanmer Springs Golf Club boasts some of North Canterbury's finest scenery. Stay and play, contact us for details. The best place to indulge, with a range of pools, including relaxing rock pools, soothing sulphur pools, an array of water jets and bubbles – at a range of temperatures. 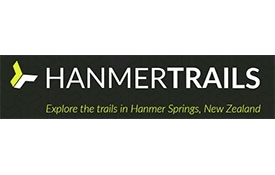 A directory of trails around Hanmer Springs for mountain biking and walking/hiking. The opportunity to tour this New Zealand icon is not to be missed. 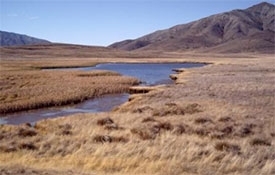 Molesworth is a very special place as it is a reserve and working cattle station and it combines farming, conservation and recreation in one vast area. At 180,476 hectares (approx. 500,000 acres) it is New Zealand's largest farm of spectacular high country that has seen success and failure. It has outstanding natural features, a rich history and a stunning and dramatic landscape. 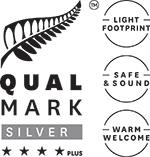 Visit century old cob homesteads, historic sites and live the history that made this high country farm famous worldwide with New Zealand's leading high country tour specialist with over 35 years experience. 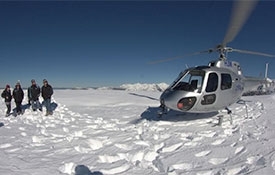 Their helicopter tours cater for all types of needs; from the short scenic, to the extensive and thorough tour. You'll get to see what others don't! 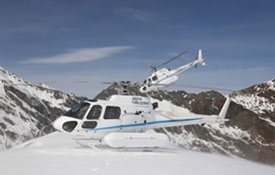 Alpine Helicopter's comfortable, modern helicopter fleet ensures you panoramic views and the ability to travel safely to incredible places few people ever visit. Their team of friendly and experienced pilots are on hand to ensure you have an unforgettable aerial wilderness adventure. Hanmer Pet Retreat offers a superior standard of care for dogs and cats, guaranteeing the highest quality service. 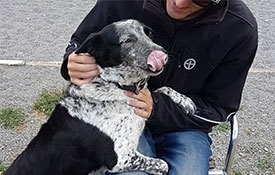 Whether you are going on holiday, moving home or just need somewhere for your pet to stay for a few nights or during the day, they are here for you. 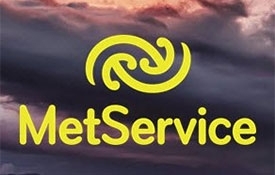 Use the MetService website to view our local weather conditions.